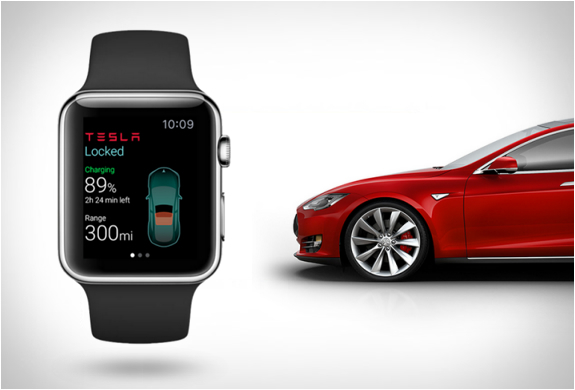 Tesla and Apple have climbed into bed, and the result is a very useful app for the Tesla Model S and Apple Watch owner. The app can be used to help you locate your car in a busy garage, lock and unlock the doors, switch on the headlights, and control the various temperature zones in the cockpit. It also offers up some useful information at a glance, including its remaining battery life and the mileage of your Model S.
With this news of technological advancement, we expect Arnold Schwarzenegger’s Terminator to be right around the corner.